One More Ride On the Merry-Go-Round. The former carousel from Buckroe Beach Amusement Park, Hampton, VA. Restored and now housed in downtown Hampton, VA, just outside the Virginia Air and Space Museum. One of only a handful of remaining with hand carved wooden carousel horses and chariots. 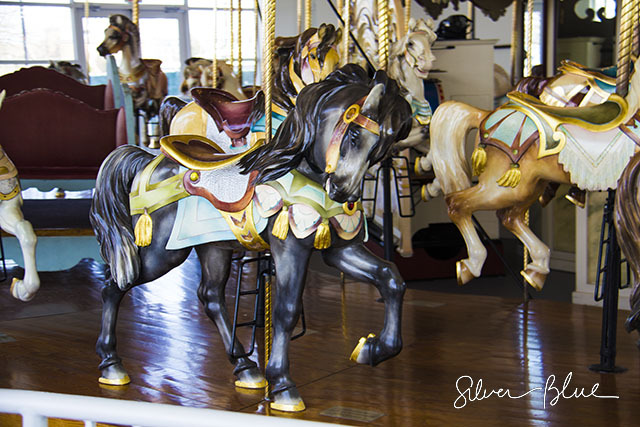 Silver Blue, who remembers when the carousel WAS at Buckroe Beach…. 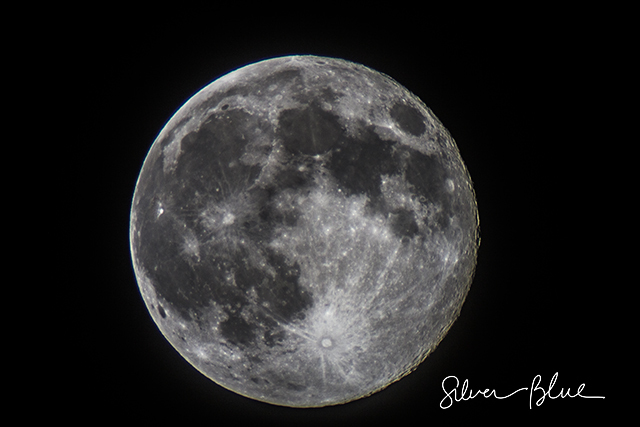 The Super Moon, shot May 6, 2012. I was learning how to do nighttime photography, and there were several hours of post production done in order to bring out the craters on the moon from the slightly blurry photo taken with a 1300mm manual focus lens. This photo had 3 minutes of post processing performed on it — because it was shot in RAW format, and needed to be converted to JPG format. This photo was taken with the same camera (Canon Rebel T3i) and the same 1300mm manual focus lens. The 2012 photo also had the moon “moved” to center it in the frame, whereas the 2013 photo did not have the moon moved. 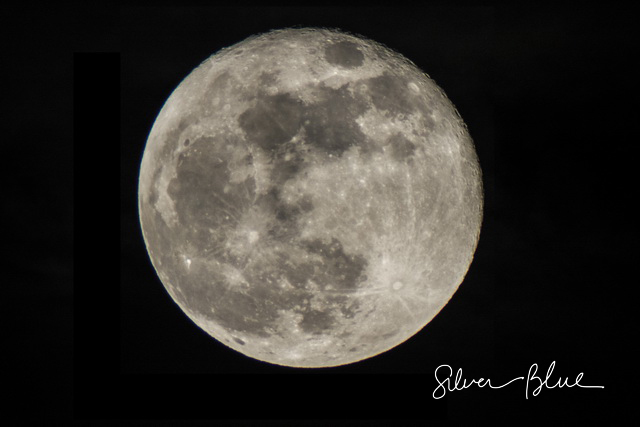 I find it interesting that the time of the camera shot (2012, 10:13pm EST; 2013, 10:43pm EST) as well as the fact that the “Super Moon” appeared 1 month, 17 days later shows the rotation of the impact craters on the moon.